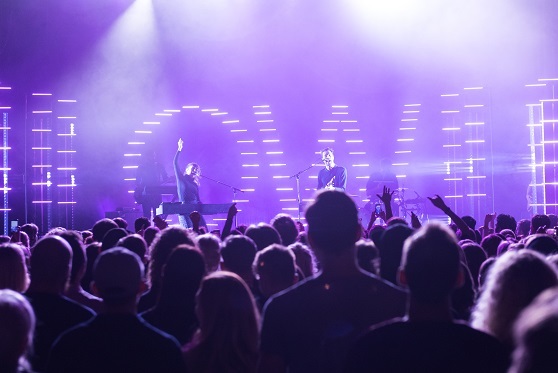 Around a thousand Copenhageners turned out to watch South London-based alternative pop duo Oh Wonder at Vega on Monday 27 November. Supported by young English singer-songwriter Laurel, they began by serenading the audience with some of their slower pieces before ramping up the tempo. The band, made up of Josephine Vander Gucht and Anthony West, are currently touring Europe and collecting good reviews in every country they visit. The excited Copenhagen crowd were treated to the same careful mix of electronic beats, old school base and piano that has worked so well for Oh Wonder on their first two albums. Their most recent album, ‘Ultralife’, from which most of their set came, is slightly more on the ‘pop’ side compared to their debut album. This makes for high spirits and singalong hits, but I found myself wishing to see the artists showcase their talents more. While they are certainly towards the pop end of the alternative music spectrum, their performance felt slightly too nice and inoffensive. I was left entertained but wishing for something more gritty and imperfect – something you hear a lot more of on their self-titled debut album ‘Oh Wonder’. Anthony West, the vocalist and guitarist in the band, is a former resident of Copenhagen but has since returned to his native England. 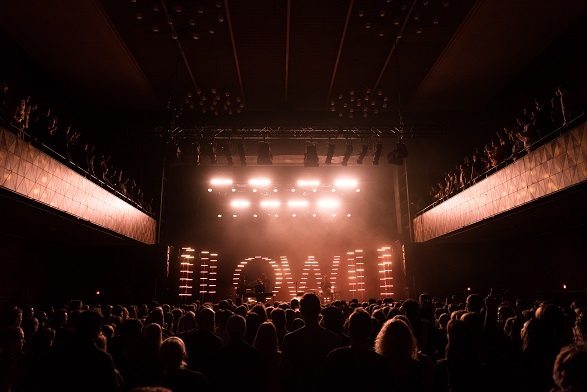 He told me after the show that he lived in Frederiksberg for three years in his 20s and that the Danish capital is still one of his favourite places to perform. Attendance at the show was probably slightly hampered by the fact that the band’s fan base is mainly teens and it took place on a Monday night. Had they performed on a Saturday, I am confident that Vega would have been full to the rafters. Nevertheless, a three-quarter capacity Vega audience made itself heard and was entertained to the highest standard. The giddy atmosphere in the music house made for a lively performance and smiles on the faces of every audience member I could set my eyes on.